Vegetables on the grill for escalivada. 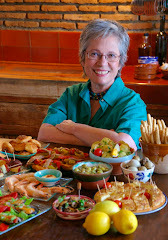 When you think about traditional Spanish cooking, I bet you never think of grilling. 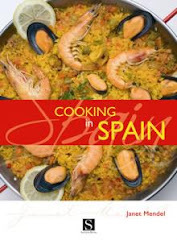 Yet, cooking on a parilla, a grate or grill; a la brasa, over hot coals, or on a plancha, a metal hot plate set over coals, are all traditional cooking methods in Spain. On the Mediterranean coast, fishermen haul their boats in at dawn, laden with fresh sardines. For breakfast, they make a fast fire on the sand, skewer the sardines on sticks, stick them in the sand before the fire. Simple and delicious. Basque fishermen set a grate over a fire for cooking whole besugo, red bream, basted with a feather until the skin turns crisp and golden. In the wine region of Ribera del Duero, vineyard workers grill tiny lamb chops over a fast-burning fire of vine prunings. 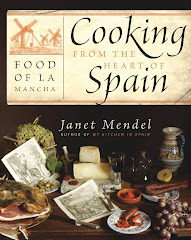 Hunters in La Mancha make a fire from holm oak to grill rabbits and other small game. Char-roasted peppers, eggplant, onion and tomato. 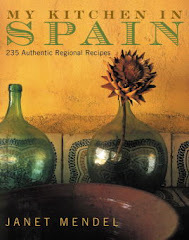 In Catalonia, spring onions with their green tops—calçots—cooked on the grill with sausages and chops are an excuse for a party. 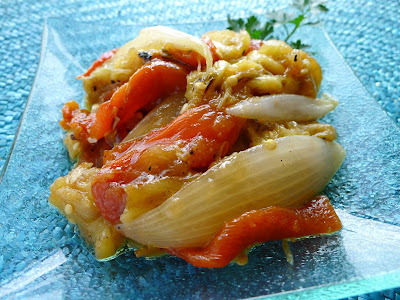 Another Catalan dish, escalivada, combines eggplant, peppers, onions and tomatoes that have been grilled, skinned and dressed with olive oil. 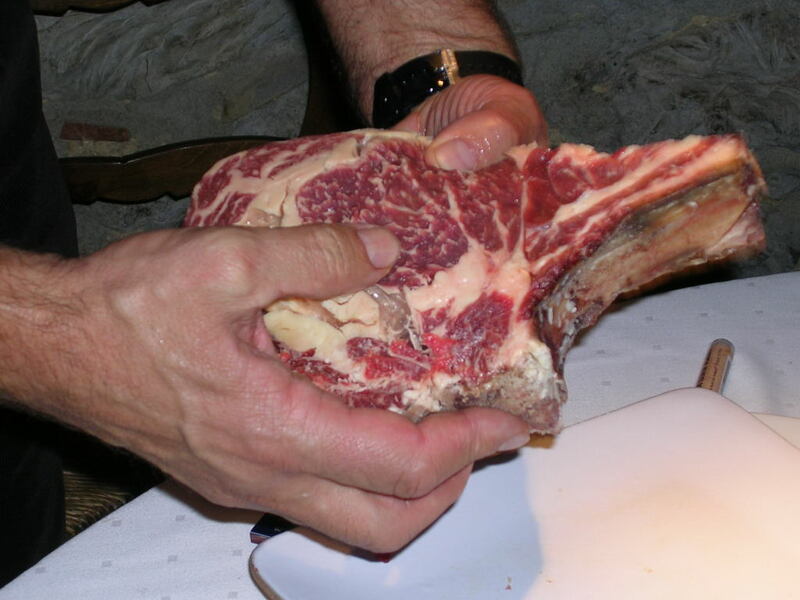 While Spain may not be as famous for grilled steak as the US or Argentina, I gotta say that the best char-grilled steak I ever had in my life was at the Basque farmhouse restaurant, Baserri Maitea http://www.grupozaldua.com/baserri/, in Forua, a short drive from Bilbao, where chef Juan Antonio Zaldua has taken grilling to new heights of complexity (squid grilled over lavender; whole sole grilled over pungent holy herb; meat grilled over holm oak). That steak was a thick rib chop from a 7-year-old grass-fed vaca (cow), heavily marbled, cooked medium rare, then carved off the bone. The steak I grilled tonight was not so great. (My butcher misled me this time.) The sauce/marinade, Canary Islands mojo colorado, red chile sauce, with its touch of vinegar, complemented the beef and the grilled potatoes. Escalivada was right-on as a vegetable side. Charcoal grilling, to me, seems wasteful—it takes such a long time to get the coals up to temperature, then, after the steaks come off the grill, residual heat could cook another meal. What I like about escalivada is that the vegetables can be put on the grill early on or at the very end. In fact, I sometimes make the vegetables at the end of a grill meal to be served cold the next day. The smoky flavor makes it all worth while. Escalivada is a Catalan dish of grilled eggplant, peppers, onion and tomato. Serve escalivada as a starter, rather like a salad; as a side dish with grilled meat; heaped on a hamburger bun, or as a topping for pizza. You can also roast the eggplant and peppers under the broiler instead of over charcoal. 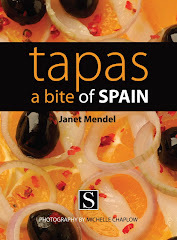 Serves 4 as a tapa or side dish. Prepare coals (charcoal or wood fire). Pierce the eggplant and pepper with a sharp knife in 3 or 4 places (to prevent steam from building up inside the skin). Slice the top off the head of garlic. Place all the vegetables on the grill (or under the broiler). 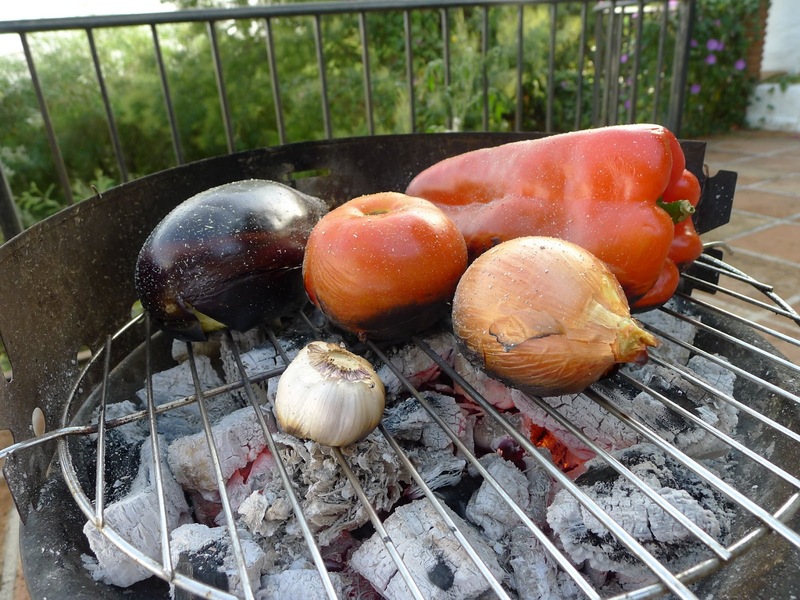 Grill until eggplant and pepper are charred on one side. Use tongs to turn the vegetables. Grill until charred on all sides. 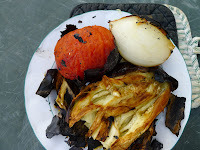 (If tomato softens before other vegetables are ready, remove it.) 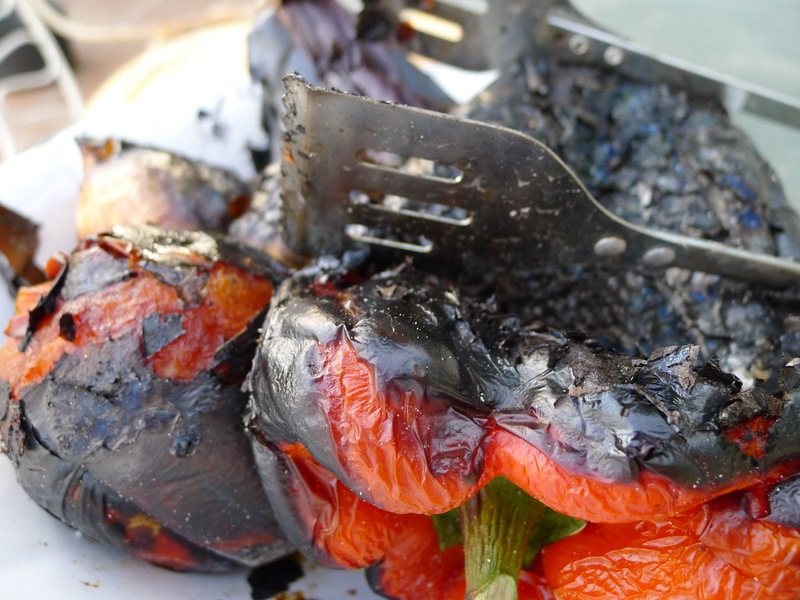 Remove charred vegetables to a bowl. Squeeze the softened cloves of garlic out of the skins into a small bowl. Mash them with a fork. Stir the vinegar and oil into the garlic paste, then stir it into the vegetables. Use this as a marinade for meat or chicken, as a dipping sauce for tiny new potatoes, or as a sauce with grilled or steamed fish. Place all of the ingredients in a blender and blend until smooth. Sauce keeps one week, refrigerated. What a great article. 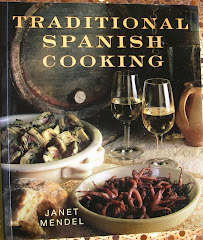 I can't say I've ever thought of Spanish food being grilled. I'm definitely going to have to give this a try. A great place to buy all the food you need is Pasta Cheese. They have everything you can ever think of.